We've 'built in' design flexibility for floors, roofs and walls. It's easier for manufacturers to be competitive with fewer metal webs and typically 20% less timber usage than competitive systems. - Create beautiful open spaces with strong beams. - Superior acoustic and fire performance standards. offering excellent versatility when designing floors, roofs or walls. Choose the strongest metal web system available on the market, with unrivalled lightness and greater clear span ability. Easy to design and install, with no l-beams or heavy timbers. easi-joist® reduces the intrusive and expensive build work required with traditional construction methods. Internal routing of services maximises space available. 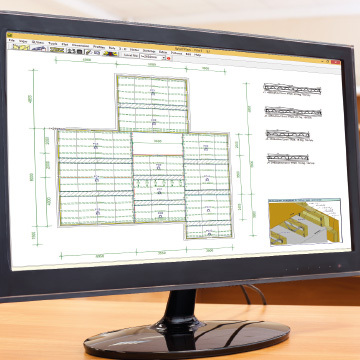 easi-joist® open web construction accommodates services, making installation of pipe work, cabling and ductwork quicker, easier and reducing labour costs. 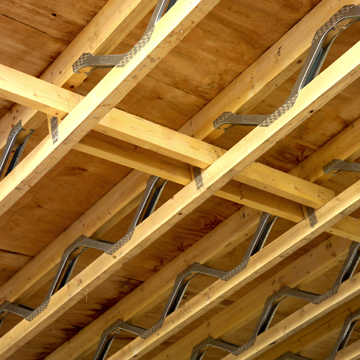 With greater clear spans and no need for steel l-beams or heavy supporting timbers, easi-joist® is easy to install. The end result is flexible, column-free internal space. 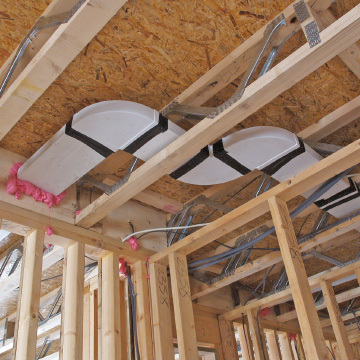 Install insulation between and within the joists. 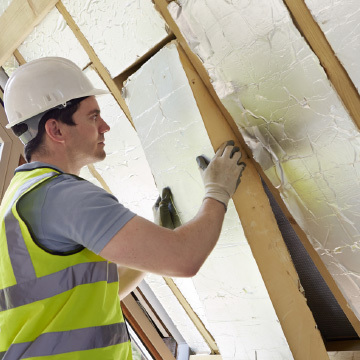 Insulation can be installed within the entire cavity, which combined with the excellent thermal characteristic of timber provides significant improvements over traditional construction methods. Timber is a sustainable resource. easi-joist® save on timber compared to using solid timber beams, plus are the most efficient metal web system on the market, using less timber than competitive metal web systems. 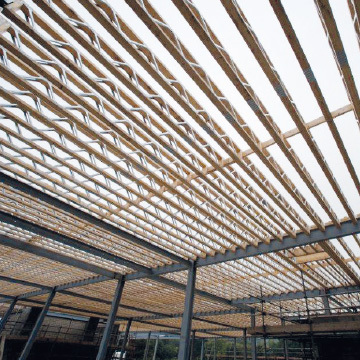 "easi-joist® enables us to easily build structural floors. 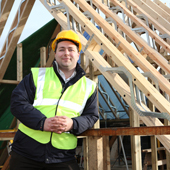 There’s less work, less disruption for the home owner and it usually costs less than traditional methods because they are relatively light, handling and on-site work is simplified too." 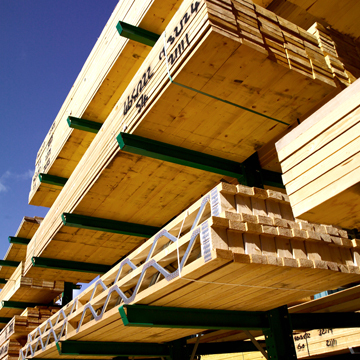 There are numerous easi-joist® manufacturers across Europe.